Moving forward means letting go. Yup, try to avoid that one. When your wheels are stuck, deep in the mud, all you do is spin and spit up a bunch of goopy-messy muck. 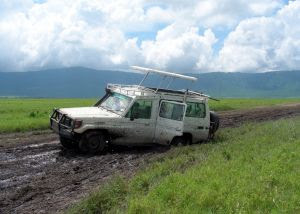 I had my wheels stuck in the mud a few years back. God had been so good to me. Brought me to a wonderful church, guided me in fruit-filled relationships, blessed me with four beautiful children and renewed my life through my trust in Christ. Past hurts, wrongs and pain that ran so deep it began to ooze. It was a trap I couldn't seem to budge from. It spewed in my words when the subject came anywhere near. It splattered across most of my thoughts and muddied my perception until all I could see was a giant mud splatter all over my life. Try getting that out by yourself! Suddenly, out of no-where, a voice said STOP. Remarkably, I listened. I sunk for a few minutes, if I couldn't spin I was certainly going to sink... right? But isn't it usually in those most hopeless situations that God's glory begins to shine brighter? 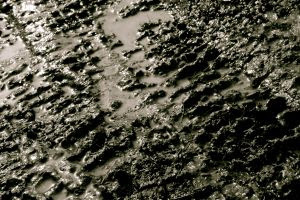 Mud like this takes a tow truck to pull out of and when God is manning the hook and wheel, all we can do is hang on and be ready for the road. HE cranked it into drive, yanked me out, hosed down the car and said LISTEN. Was I being merciless? Was I being like the man whose debt had been forgiven and then went out and rattled the cage of someone who owed him money? Oh Heaven help me if I was. God began to show me how my hurts were justified. How, yes, the happenings of past were wrong. That was then, this was now. Who would I be without those hurts and wrongs and experiences no matter how bad? What testimony would I have and understanding of others in those same places? Could I really understand those things which I know all to intimately without first going through it myself? The answer is, no, I couldn't. We don't like the dirty mucky places. But even getting dirty has its purpose when we trust in the One who makes us clean again. 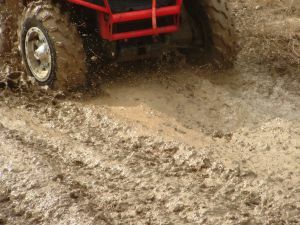 Most importantly, we can't stay in the mud, spinning our wheels and flinging it everywhere... we just get everyone else dirty with us and, well, no one likes it when someone else makes them dirty too! God doesn't hold anger and bitterness, unforgiveness or hate. He only holds hope and renewal, promise and peace. To move forward into the future He holds we must let go of the past and present we hold. It is OK to let go. We won't fall. In fact, we can forgive even when the other person/people haven't come to that place yet. I did. Oh glory day when Jesus took away the pain. 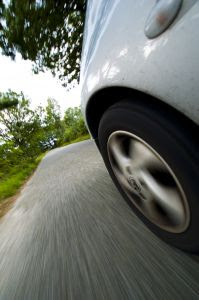 Oh how wonderful to no longer be spinning my wheels but to instead be traveling down the road fresh and clean. I pray, today, for any bit of mud that might have you spinning, may you reach out and call Triple T (The Father, The Son and The Holy Ghost). Their towing service is the best! Amanda, your words are always so perfect for my heart...holding on to hurt...only causes bitterness....and if someone else is holding on and won't forgive...we can't go there, either. We have to move forward....Thank you! I like how you used the idea/picture of being stuck in the mud and spinning. I think that is a good representation! Well written. Very good! Yes, unforgiveness, bitterness, anger, resentment, etc. are destructive! I'm glad you were set free. I regularly search my heart and ask the Spirit to show me what needs cleaning up. Like you, I don't want to spend any time spinning my wheels.